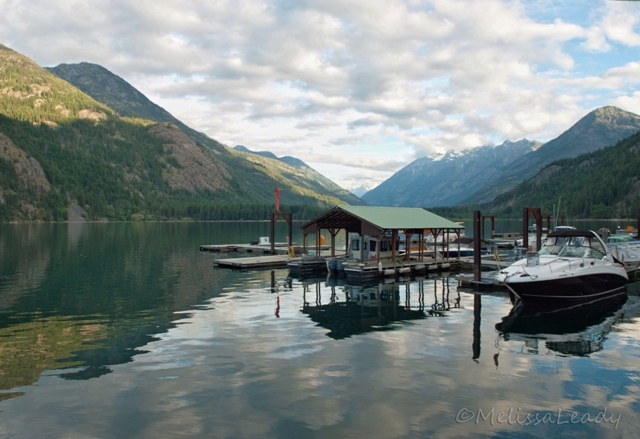 At the far end of Lake Chelan is the town of Stehekin, and there are only three ways to get there. Boat, seaplane, or hike through the North Cascades. 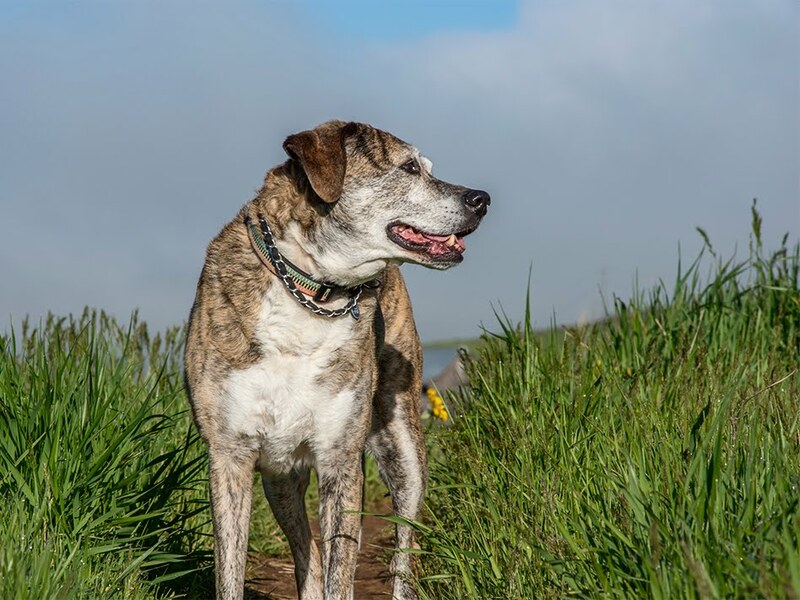 Part of the charm is the remoteness. The first time we visited here in 2006 there was no outside contact except satellite phone. When we were here over Memorial Day weekend there was some very limited wifi at the shop by the marina. Until a tree knocked out power and the backup generator kicked in. No TV, no internet, no cell phones. Such a peaceful, idyllic spot to get away from it all! *Background info update:* Lake Chelan is the largest natural lake in Washington. It's a narrow 50 mile lake bordered by the Cascade and Chelan Mountains, and it fills a deep underwater gorge, 1486 ft. at the deepest point. Stehekin is at the far northeastern point of the lake. At the other end of the lake sits the town of Chelan where you can park in the overnight lot and take one of several ferries uplake. This is the most common method of getting to Stehekin. On our uplake journey we took the Lady of the Lake II, a 4 1/2 hour trip which included multiple stops along the way to drop off hikers , including 70 Boy Scouts. On the return trip we took the Lady Express and got back down to Chelan in 2 1/2 hours. Lake Chelan is a narrow lake over 50 miles long, and the third deepest lake in the U.S. After Lake Tahoe and Crater Lake. The name Chelan is a Salish Indian name for deep water. The lake is nestled in the Cascade Mountains, with an underwater gorge extending up to 1486 ft. below the surface. 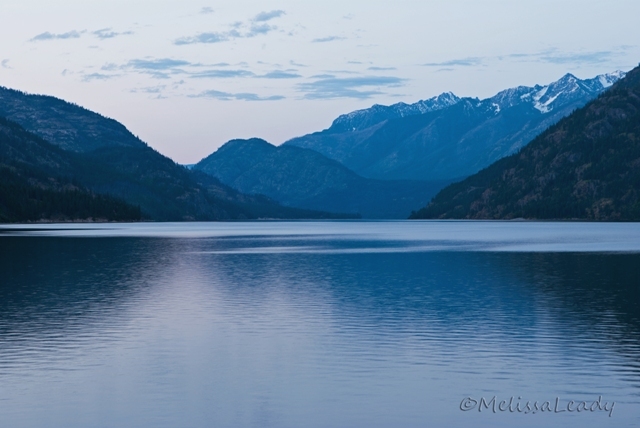 This twilight view is from Stehekin at the far eastern end of the lake. This little creek is one of many creeks and rivers feeding Lake Chelan from the North Cascade and Chelan Mountains. 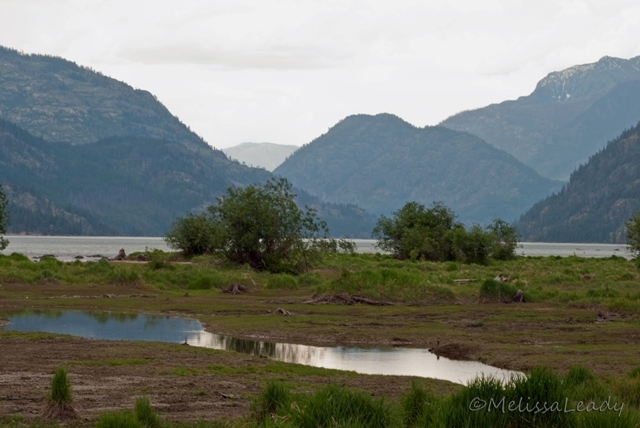 It's a little marshy, but this is the view from the 'top' of the lake, just past Stehekin. 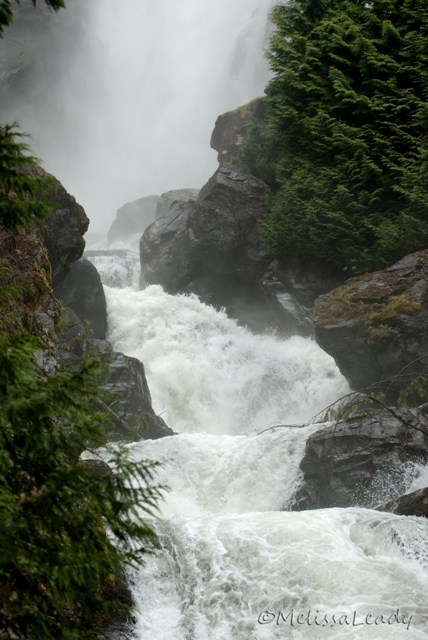 A view of Rainbow Falls in Stehekin, where we vacationed over the weekend. We rented bikes to ride to these falls, so I was traveling light with camera gear: just the lens on the camera and no tripod. It was probably good for me because I tend to present whitewater in the same way each time. A short shutter speed here is a nice change of pace. As for the rainbow part, I'm told that if the sun shines on the falls, the mist creates a rainbow. It was sunny on our ride, although you certainly can't tell it from this photo. I wonder how often the sun shines on these falls. Maybe we needed to be there earlier in the day. I also wonder how many falls get the rainbow name. Lots, I'm sure. One of many paths leading to the beach at the Indiana Dunes National Lakeshore in Beverly Shores. This one happens to be at the old Red Lantern. The lake was starting to shift to its usual blue-green color as the sun emerged from behind a thick cloud band. Some puffy clouds kindly lingered to frame my shot. If this were a clear day (no haze), and I were using a zoom lens, a tiny Chicago skyline would be visible at the horizon line in the center of the picture. One of the varieties of trillium blooming now in Northwest Indiana, near Lake Michigan. Prairie trillium never seemed to be the dominant flower along any of the trails we walked, but it showed up in small patches throughout the woods. This trillium was blooming along the trail at the Heron Rookery. A carpet of trillium covers the woods behind the subdivision where I grew up in Northwest Indiana. We spent a lot of time playing in 'The Woods'. Very fun to return here during trillium season. Well, I'm home from my trip to visit family in Northwest Indiana, so expect a change in scenery on the blog this week. I'm starting the series out with a morning at the Indiana Dunes National Lakeshore. I thought it was interesting because I'm not sure I've ever seen Lake Michigan this shade of blue, and I've seen Lake Michigan A LOT! The sun was behind a cloud when I took this photo, and the clouds cleared not long afterword. Then the lake turned its usual shade of green-blue. I suppose that's an industrial haze in the background, but it's a nice warm color compliment. I meant to get up earlier, but slept in a little. It looked like a beautiful pinkish sunrise from my window, so I regret not being more disciplined on my vacation since this was my only early morning with the camera and I think it would have been a beautiful sunrise at the beach. 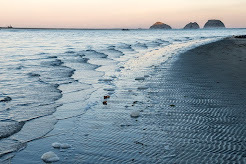 I guess it's always good to have something still on my list for next time...beach sunrise.